Great thing about Pinterest are new food ideas that you can try simply because they look fantastic. Pull apart breads are something I've never tried before this year when I got hooked on Pinterest. 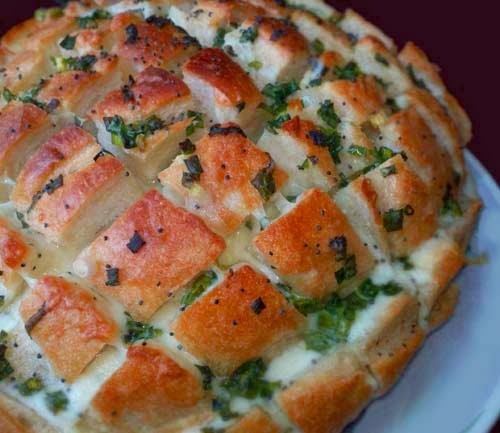 Surprisingly, it can be as simple as cutting up an already-baked bread, inserting stuffing you want, and re-baking it in an oven before serving. Sliced up the bread. Dice the bacon into small pieces. 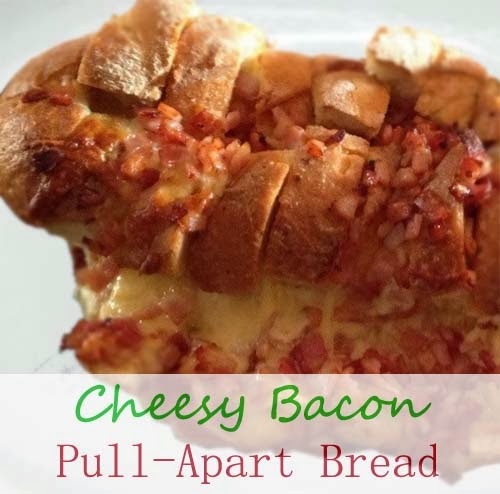 Stuff bacon in between bread cracks and sprinkle on top. Do the same with the shredded cheese. Wrap in aluminum foil and bake in oven for 15-20 minutes at 350 deg F.
Here's a quick video on how to cut up the bread. The key is not to slice all the way through, which is kinda like cutting for a Hasselback potato. Cook mushrooms in butter or olive oil for 3 minutes then set aside. Slice provolone cheese thinly. Cut up sourdough bread like in the video above. 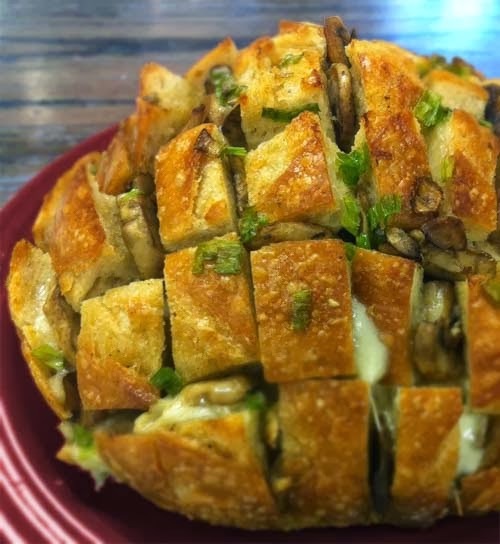 Stuff bread with mushrooms, green onions, and sliced cheese. Drizzle olive oil or butter over the bread. Wrap in aluminum foil. Baked at 350 deg F for 15 minutes. It's great fun and easy to make because the breads are bought from a local bakery. You can also make the bread from scratch if you have a bread maker at home.